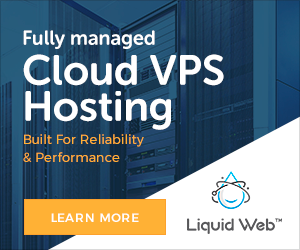 When you need that kind of stability, you'll want to look into dedicated web hosting. With a dedicated server, your site will be the only one being hosted and all of the server's resources will be available at all times. This differs from a shared server, another popular option, where the resources are distributed to multiple sites being hosted. While that isn't a problem for sites that don't get high volumes of traffic, it does become an issue for those that do if that occurs because it can lead to crashes and downtime for the sites being hosted. If your site is one that people are visiting in order to purchase products or services, this is something you cannot risk. However, a dedicated server can be expensive and it's not something that is always in the budget. Ultimately, the investment in a dedicated server may prove to be worthwhile or the costs might not be an issue. But, some companies will find that they don't have the staff or infrastructure in place to provide the support for their server. If this is the case, you'll want to read up on a managed dedicated server. If you are a small business owner and you are not a master of web-related knowledge and activities, the maintenance of a web site may be an intimidating task. In that case managed dedicated server may be the best option for you. A dedicated server is where your web site has its own storage space – its own entire server, actually – and you pay a predefined amount of bandwidth that you use. However, while this offers a great deal of customization, there is a certain level of maintenance involved as well. Between software updates, operating system updates, and security issues such as virus protection and firewall services, maintaining a web site, its content, and security can be a daunting task. Fortunately, a managed dedicated server is a great way to have the benefits of a dedicated server without the demands of maintaining it. With a managed dedicated server, you get the reliability that you need but the maintenance and support is provided by the web hosting company. When you use managed servers, the web hosting provider will have a member of their team keeping your site running on a healthy level. This means that all those maintenance issues described above are taken care of for you. This is very advantageous to those business owners that do not understand all the technology behind how a web site functions. You can save the time associated with learning how to perform these activities and focus on running your business. And with someone else, a paid web hosting professional maintaining it for you, you have the peace of mind knowing that you are not sacrificing the performance of your web site or the security of your customer transactions or content. Managed hosting solution is the one that frees you from worry. The hosting company gives you the confidence that your system will always perform well which allows you to concentrate on running a successful business. Before taking up dedicated hosting managed server solution from any company you should see the experience, support i.e. whether It is dynamic or it provide 24/7 support etc. its performance and safety issues. Thank you for sharing nice blog for dedicated server ... A Cheap dedicated server hosting allows you to use the server whereas different people are employing the similar computer. Very nice informative post about the dedicated server. Thanks for sharing with us.